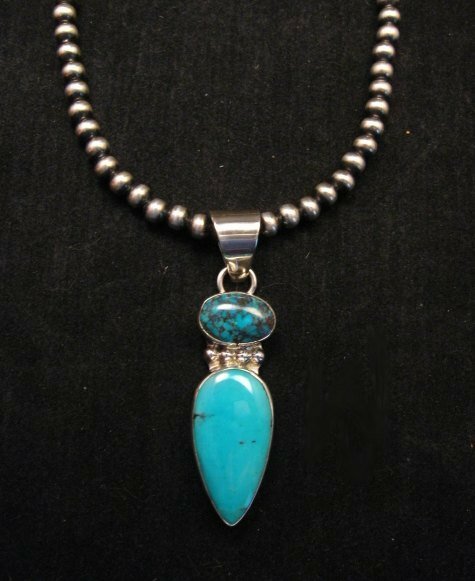 This large Navajo hand made turquoise and sterling silver pendant is another original design by Navajo artists, Everett & Mary Teller. 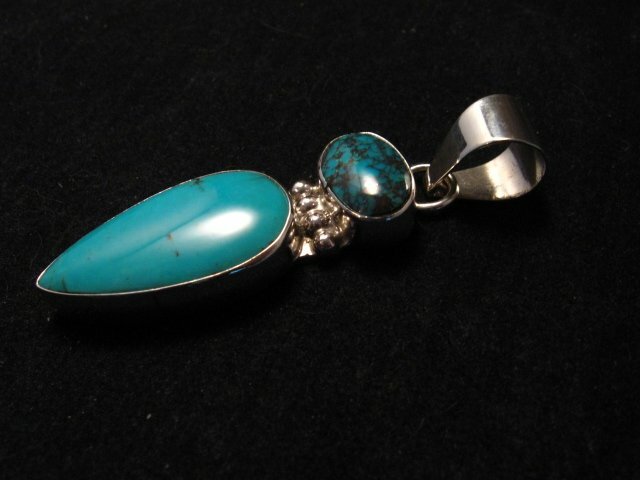 The pendant features a natural Manassa turquoise stone on the top and a natural Kingman turquoise stone on the bottom. The stones are in perfect shape. 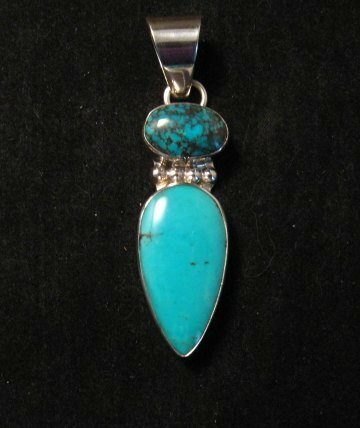 King's Manassa turquoise is mined at Manassa in south central Colorado, but began its mining days with the ancient Pueblo people. The Manassa mine is also known as King's Manassa or the King's Mine. The Kingman mine is in Arizona. 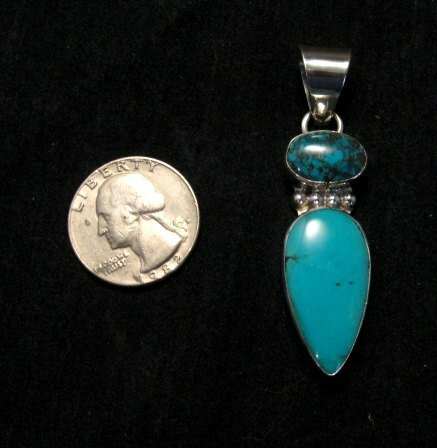 The pendant measures 1-3/4 inches long, not counting the over-sized bale. Weighs 10 grams. The bale can accommodate a necklace up to 3/8 inch in diameter. It is shown here with one of our 5mm sterling silver bead necklaces, which are available in different lengths, sold separately. About Everett & Mary Teller: These self-taught silversmiths have been making jewelry for over 25 years. They carefully design their pieces and select the stones using a wide variety of natural stones. The workmanship is impeccable - you can always depend upon quality when you purchase a piece of Everett & Mary Teller jewelry.